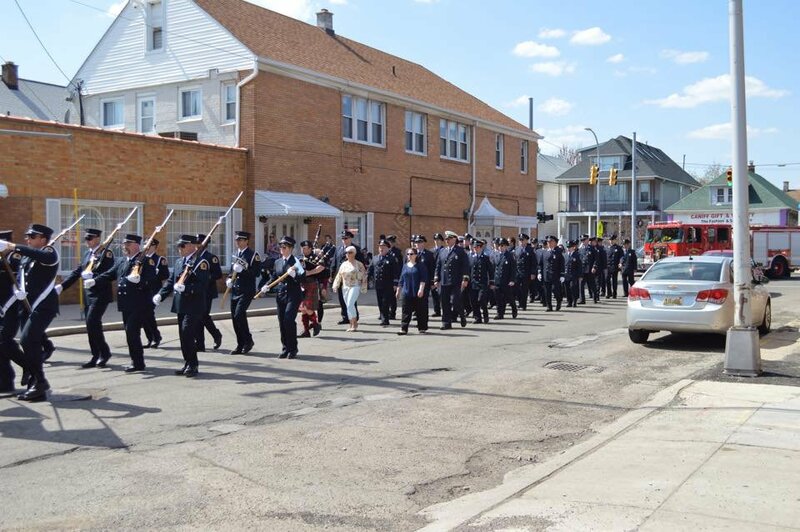 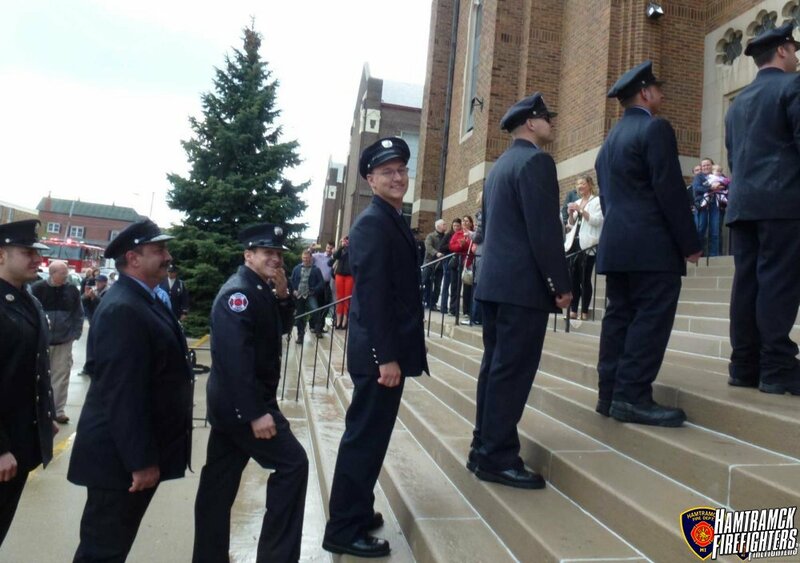 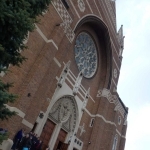 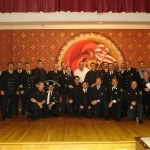 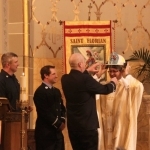 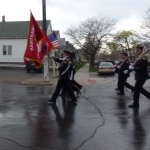 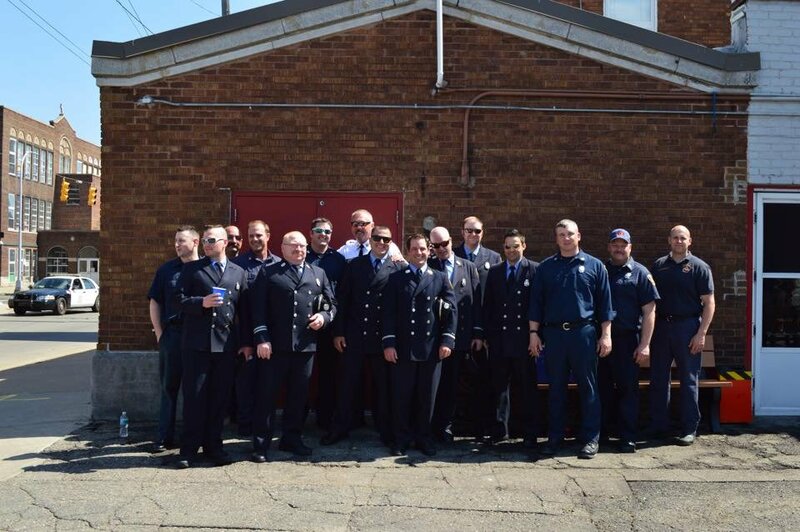 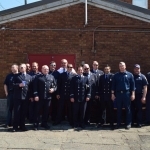 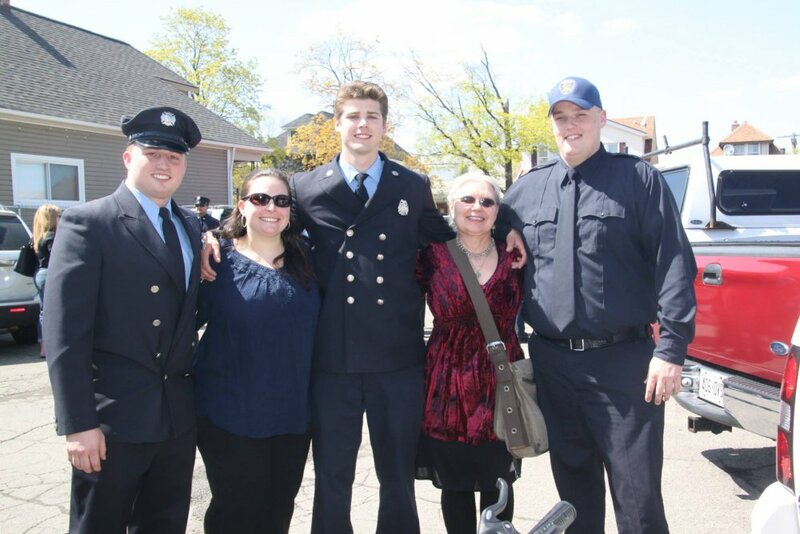 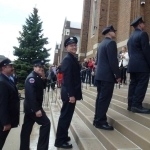 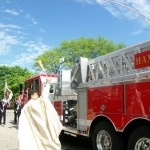 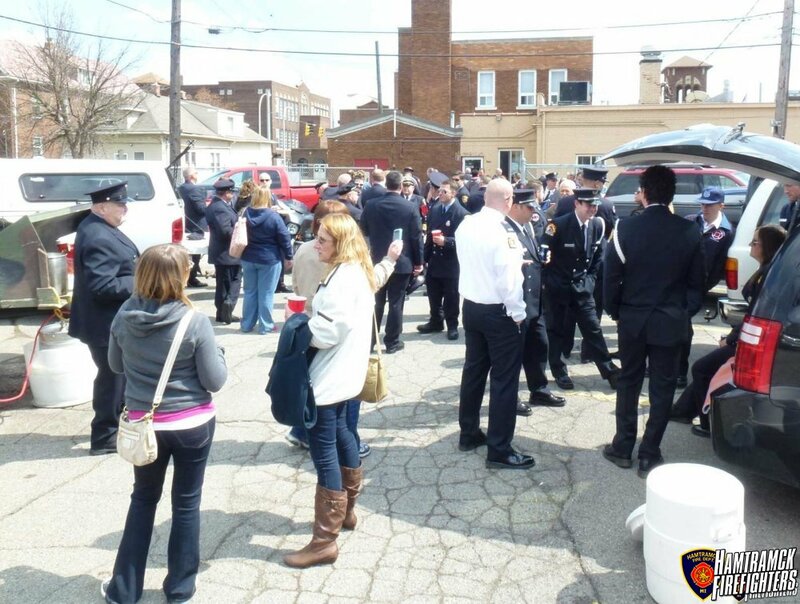 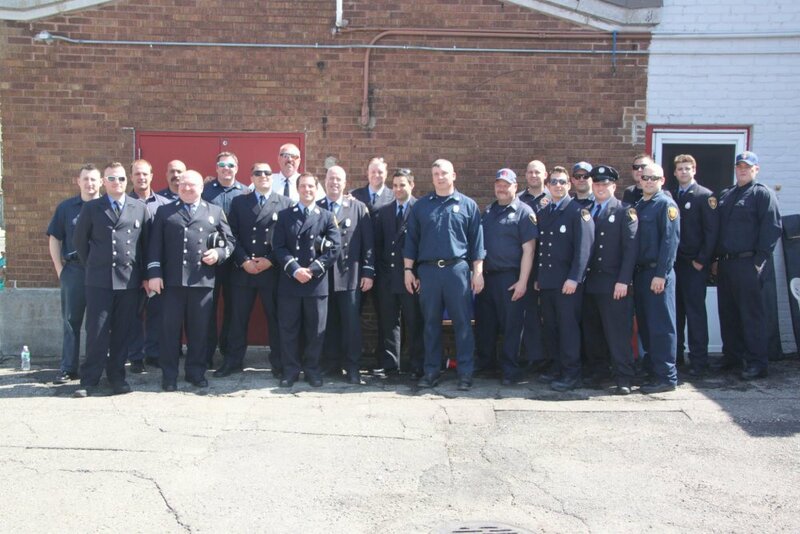 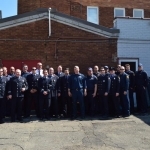 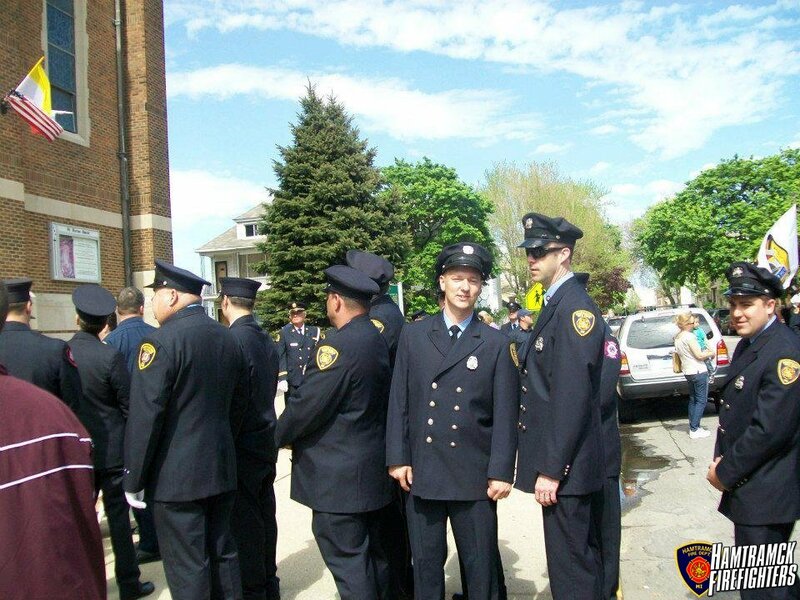 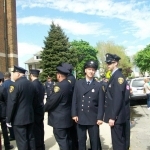 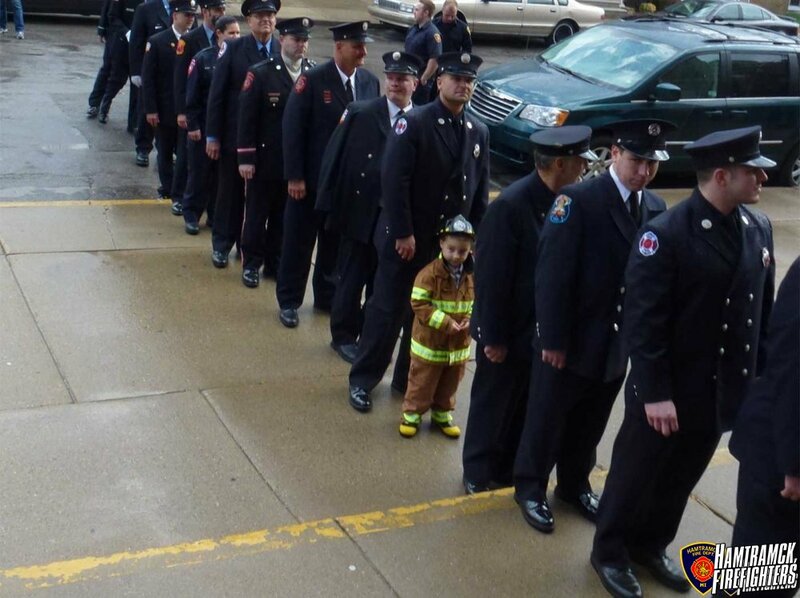 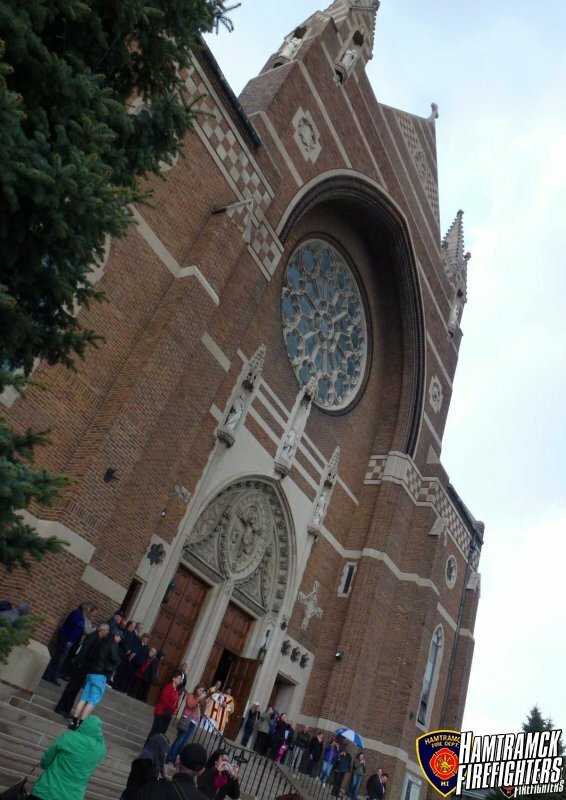 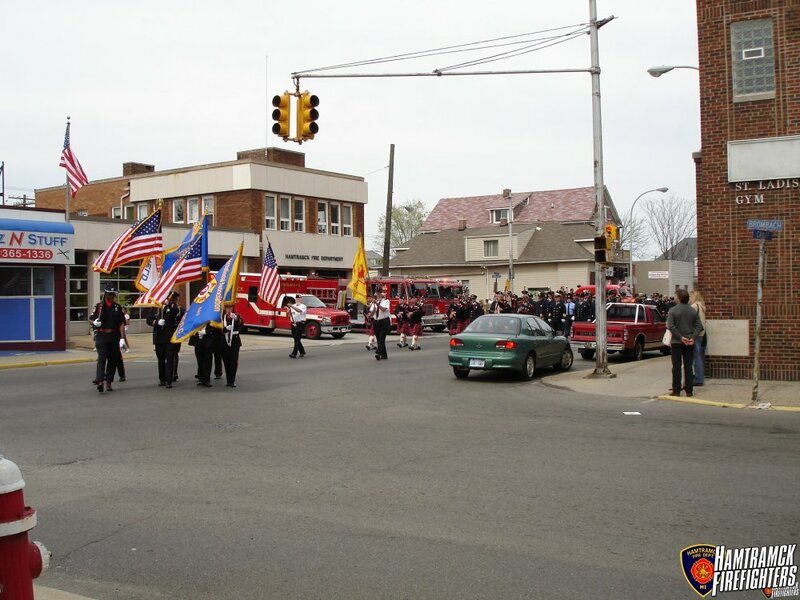 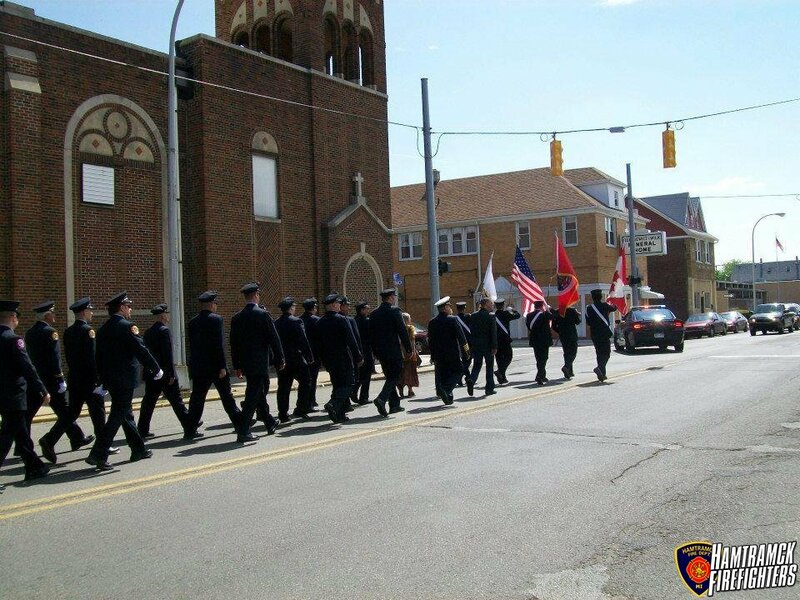 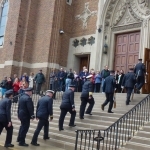 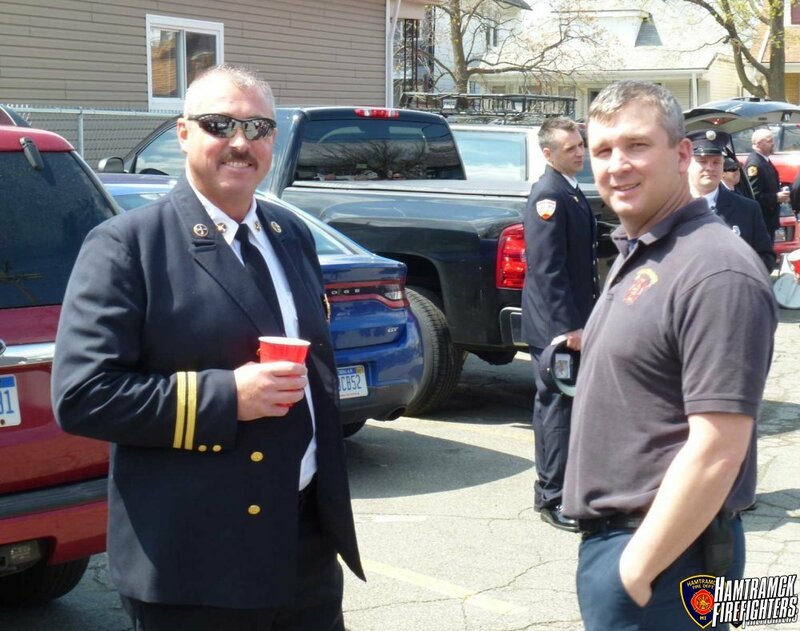 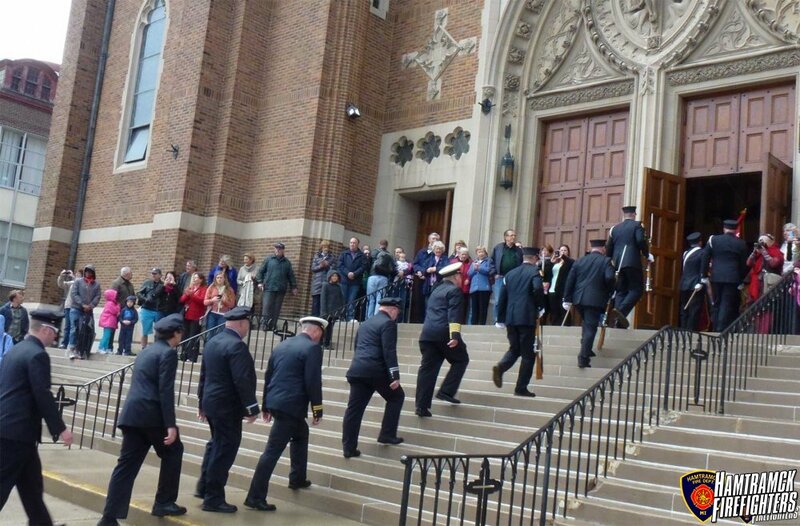 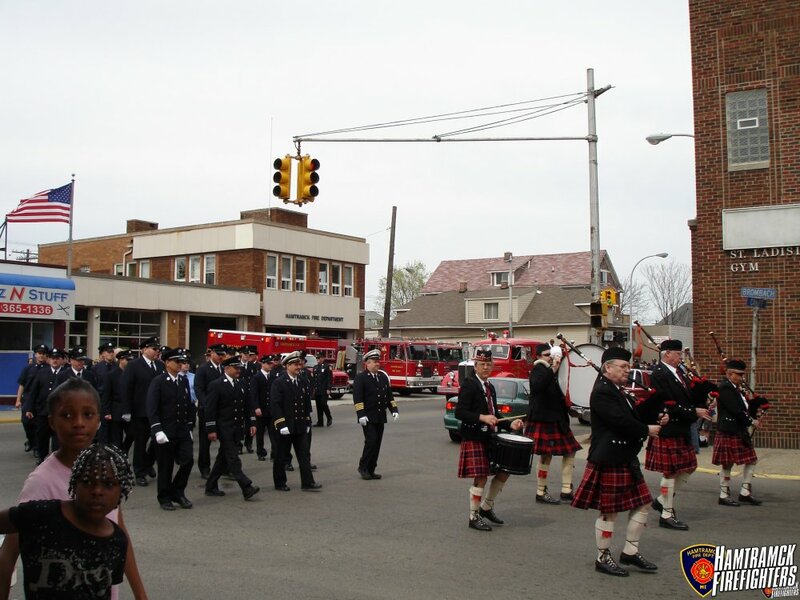 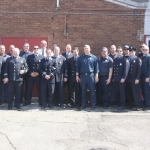 St. Florian Church and Parish, also located in Hamtramck – along with the Hamtramck Firefighters host an annual Firefighter March and Mass. 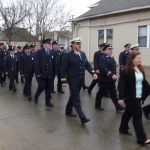 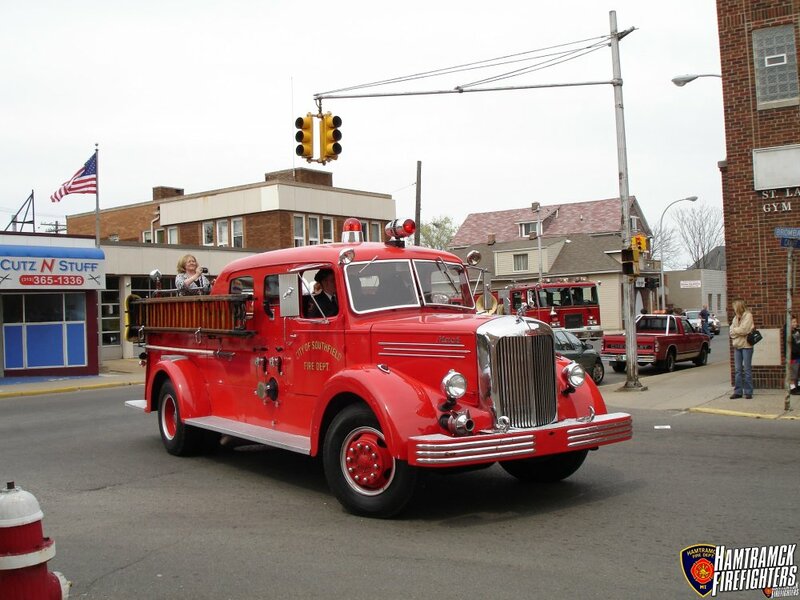 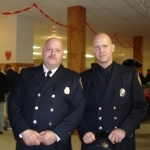 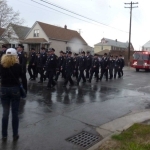 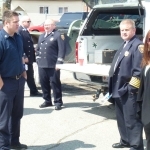 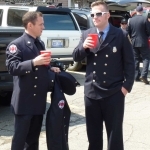 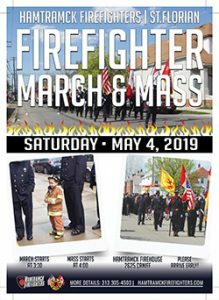 This celebration of firefighters past and present occurs the first Saturday in May along with the annual Strawberry Festival. 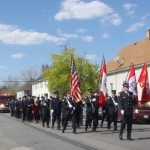 (Please check our Events page or the front page of this site). 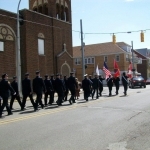 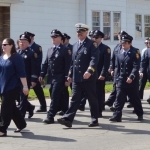 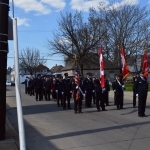 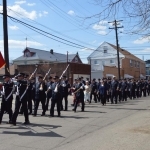 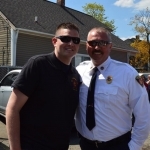 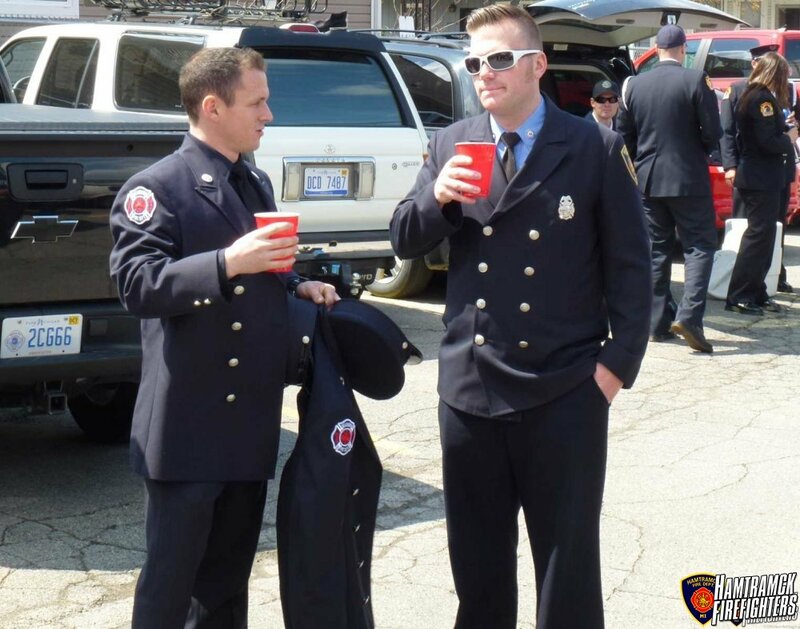 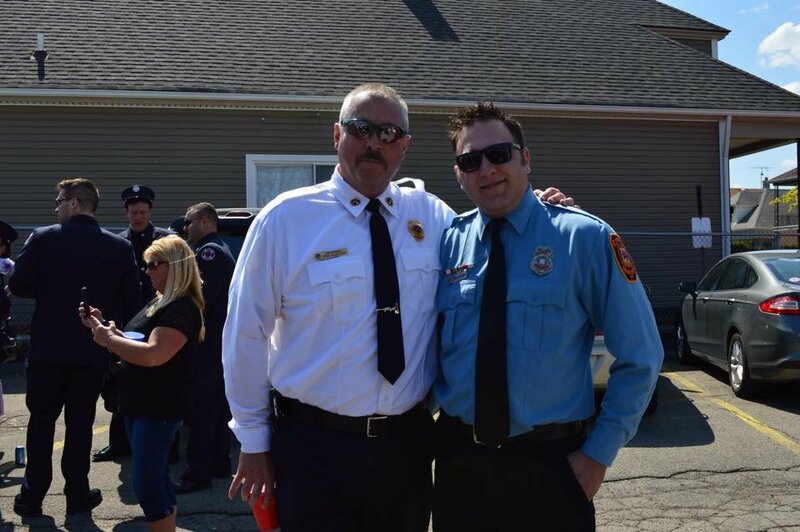 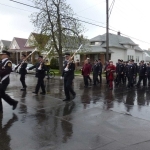 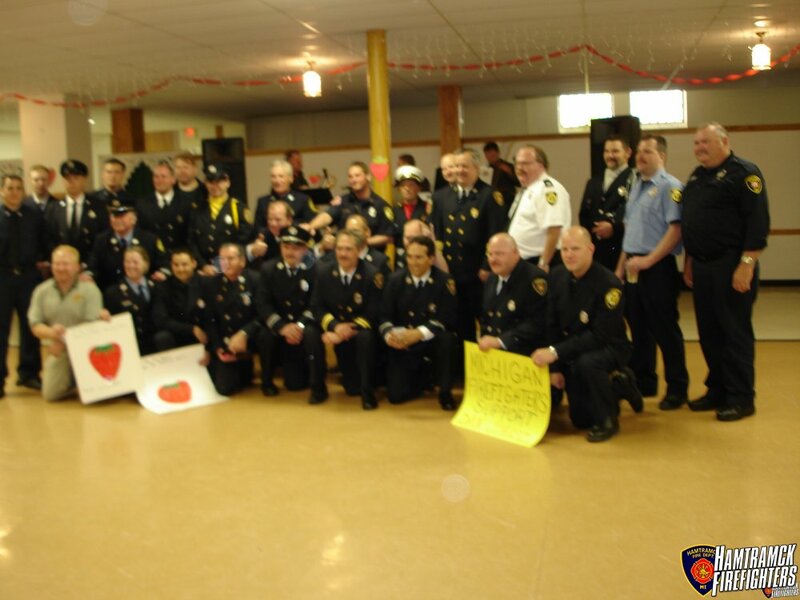 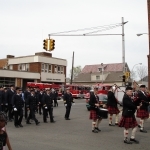 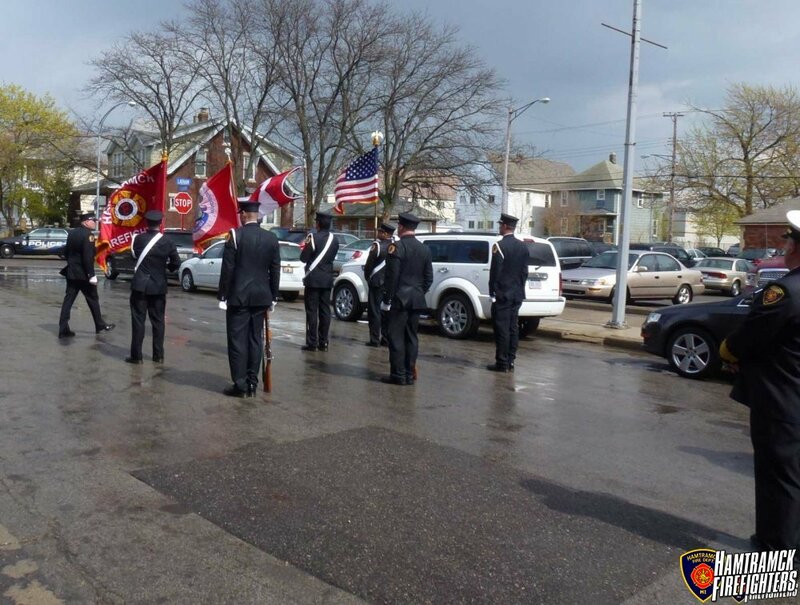 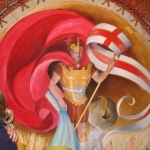 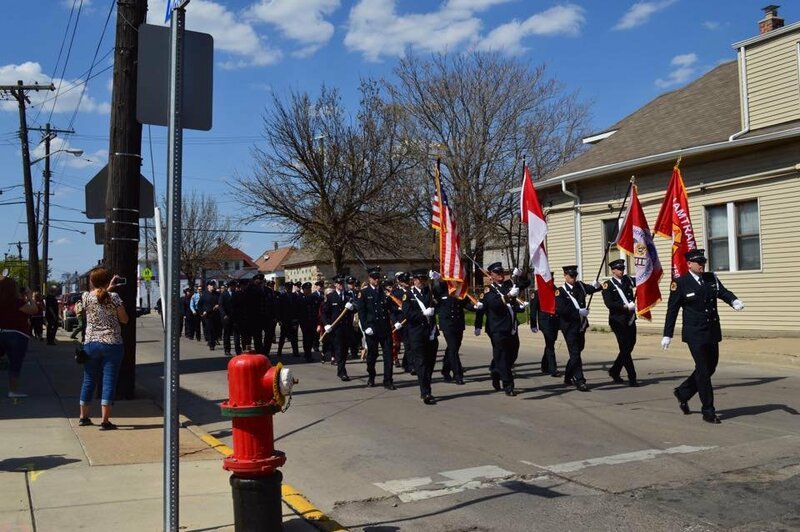 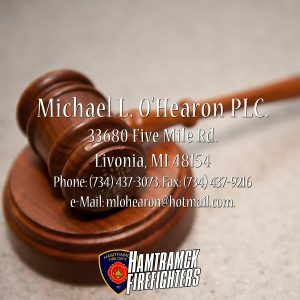 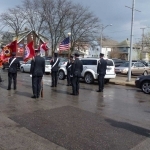 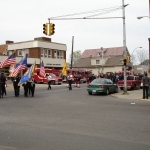 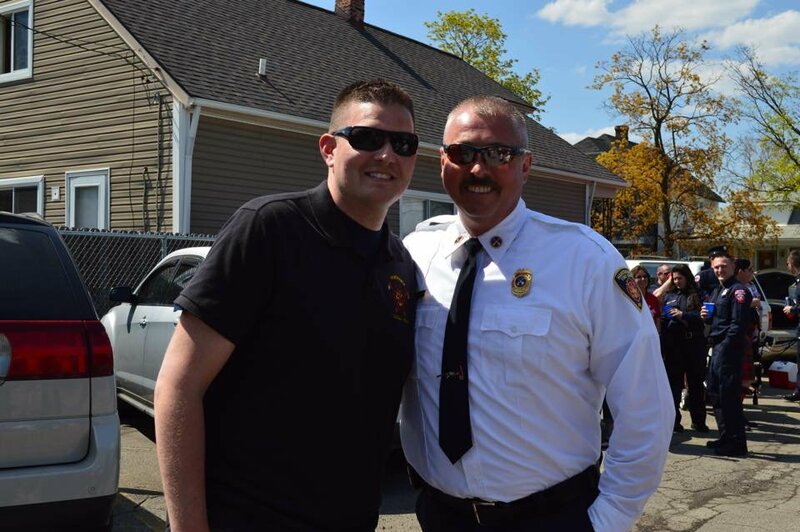 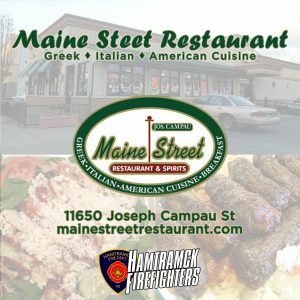 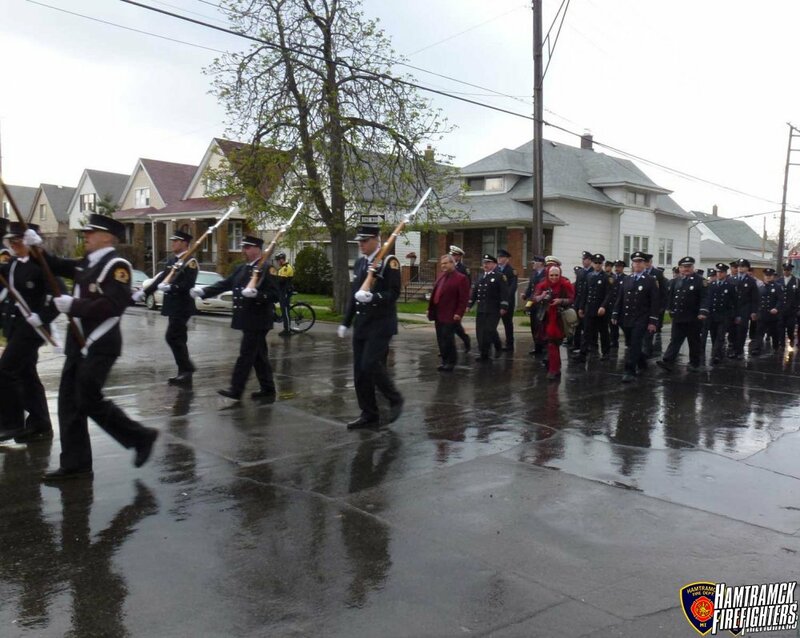 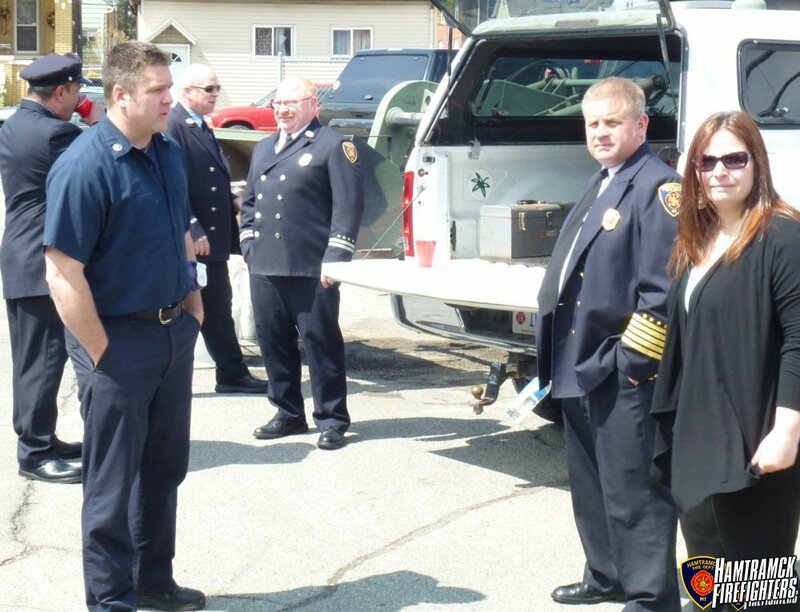 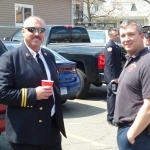 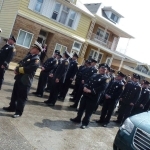 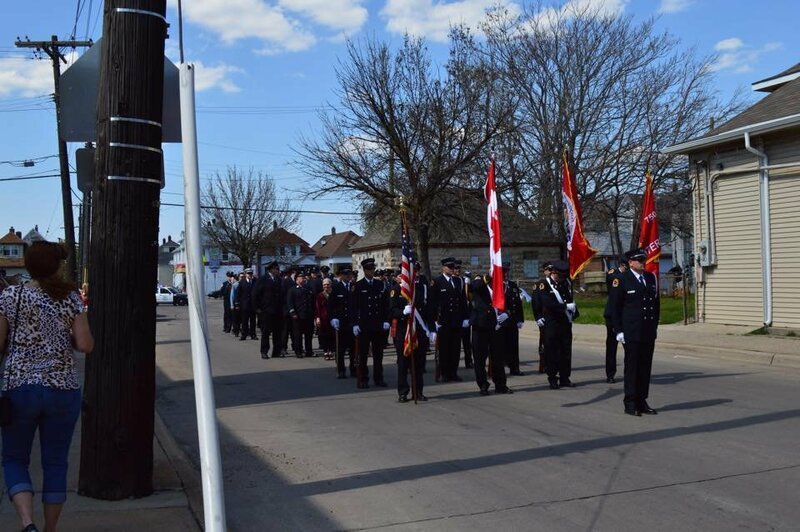 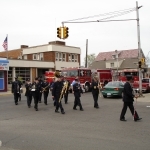 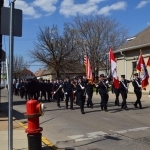 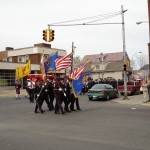 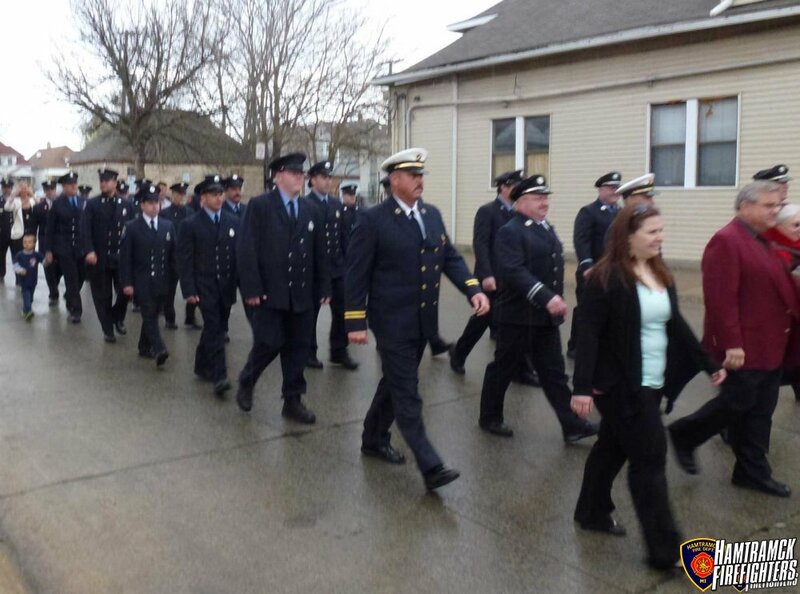 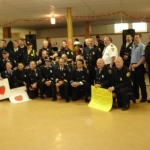 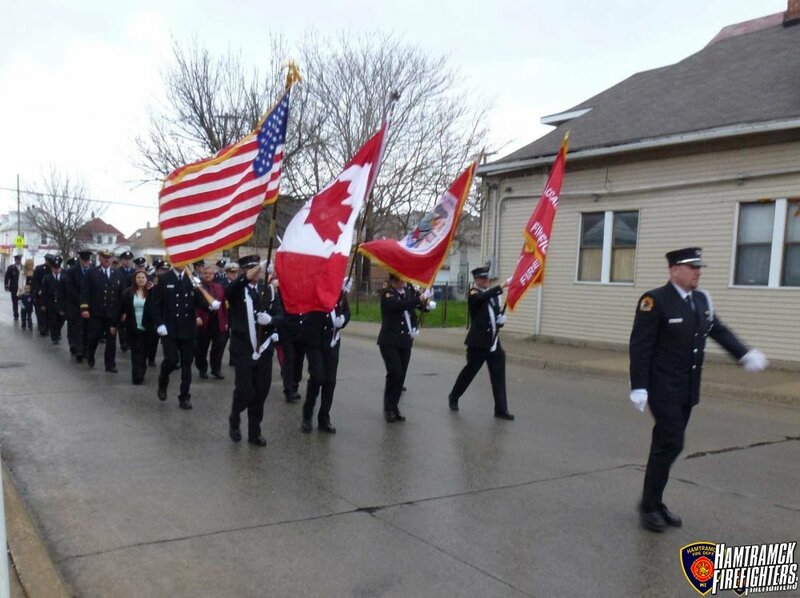 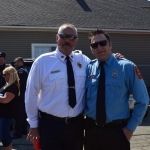 The St. Florian Firefighter March & Mass is a unique event that marks the feast day of St. Florian, patron saint of all firefighters. 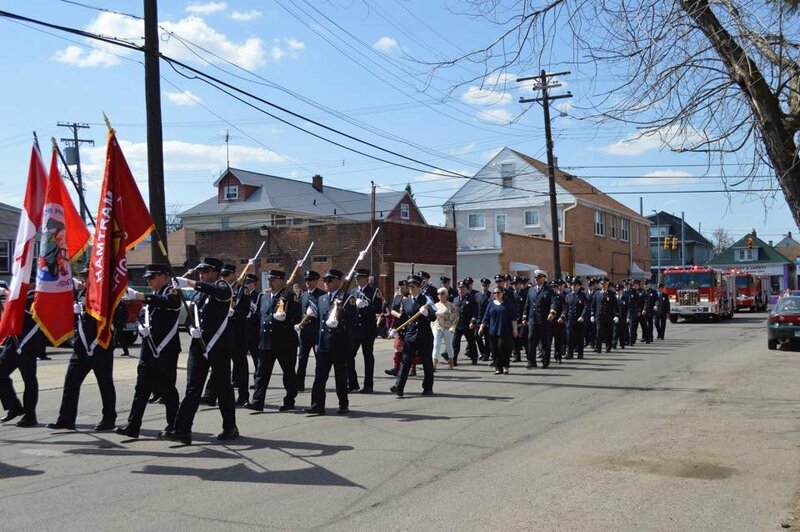 Please join us in commemorating this occasion by participating in this formal March. 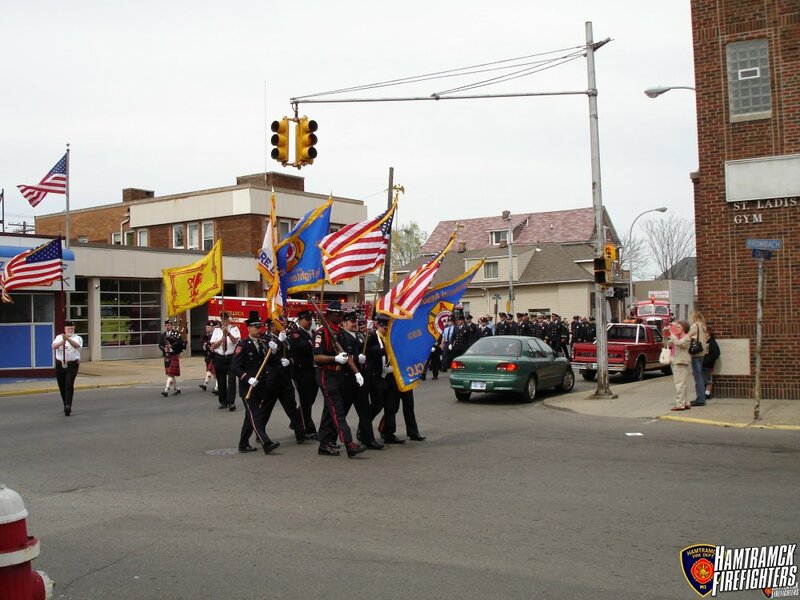 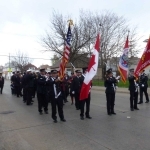 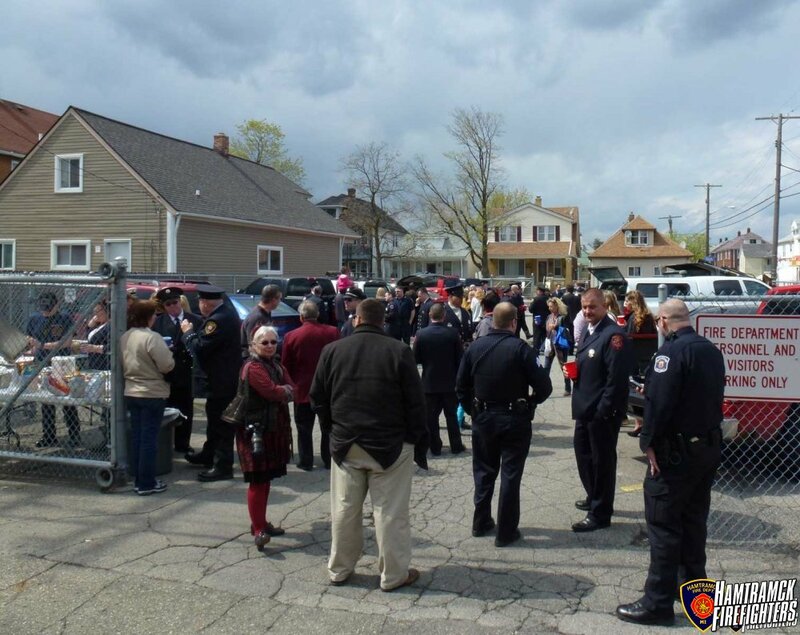 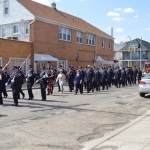 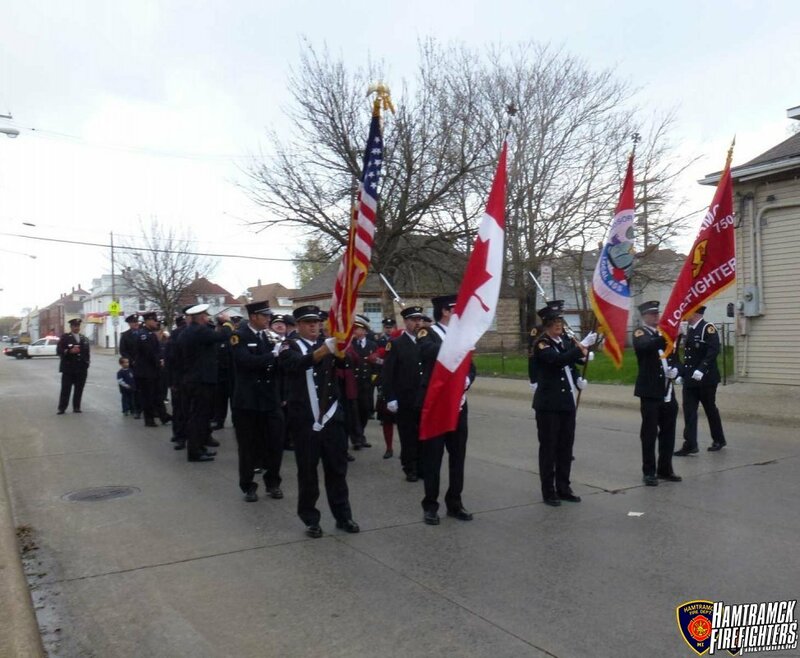 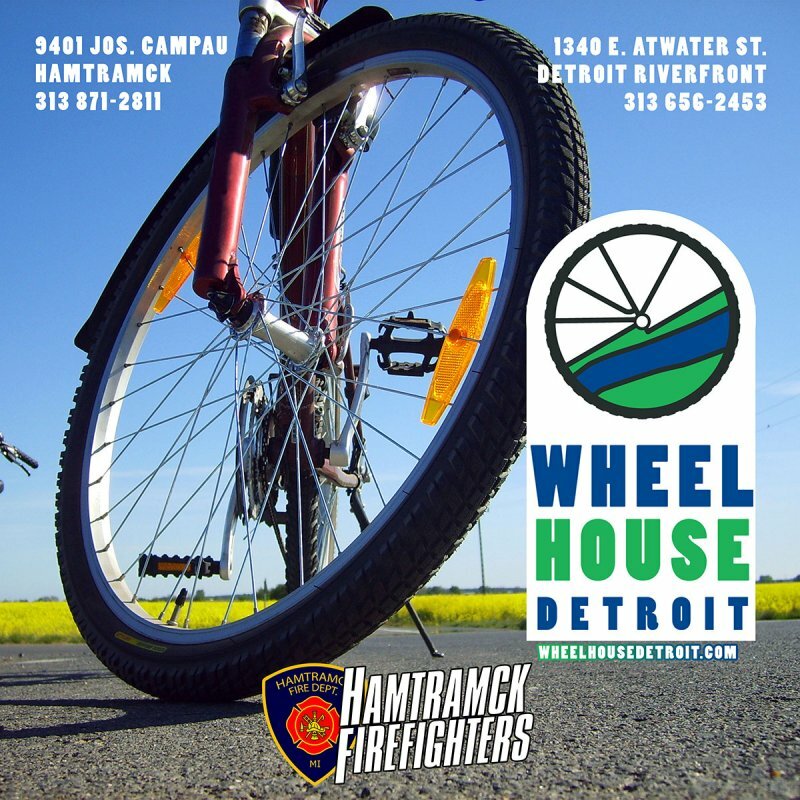 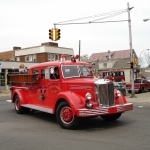 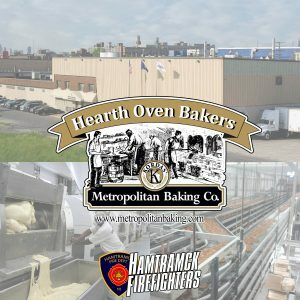 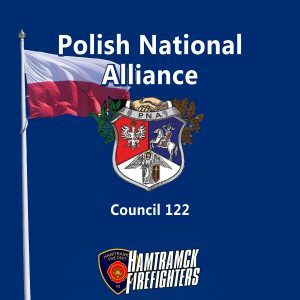 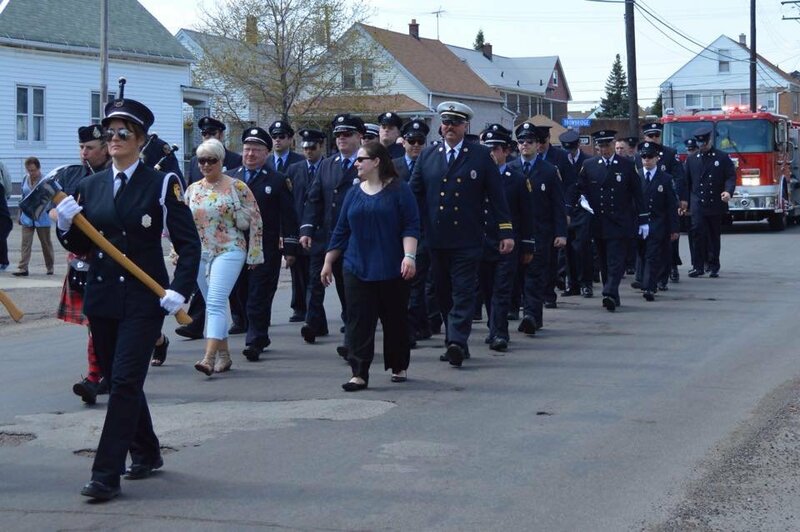 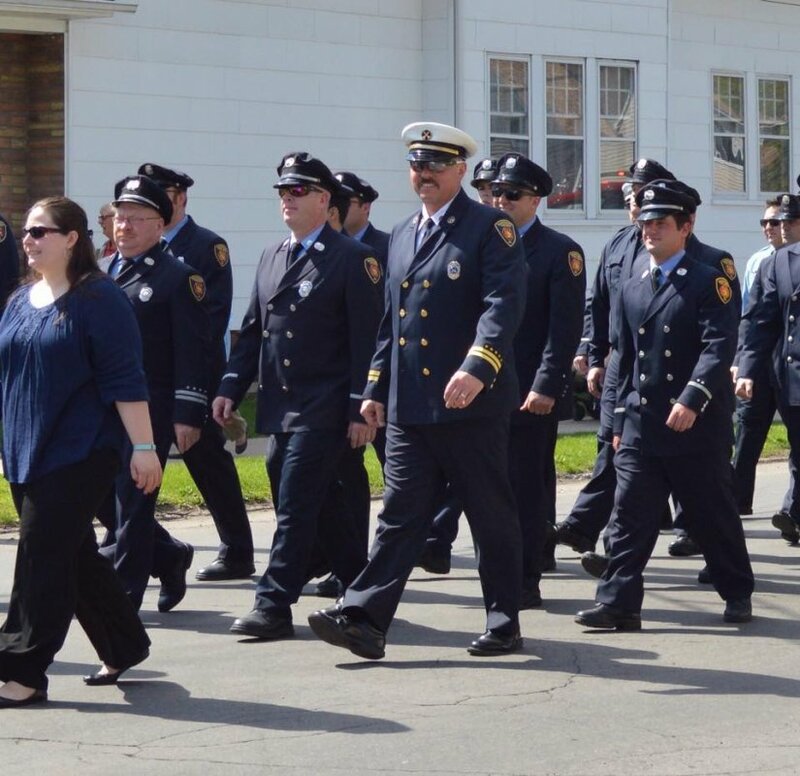 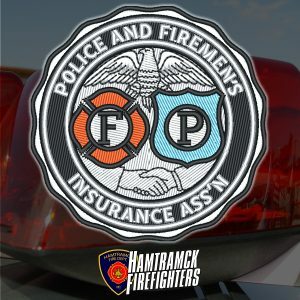 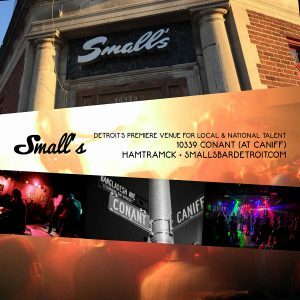 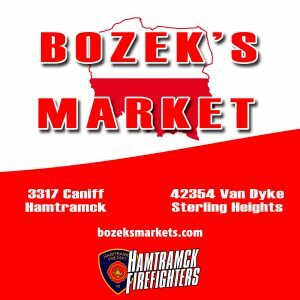 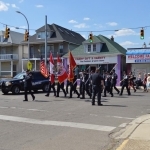 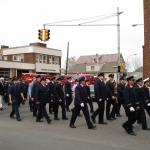 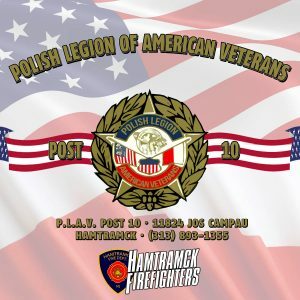 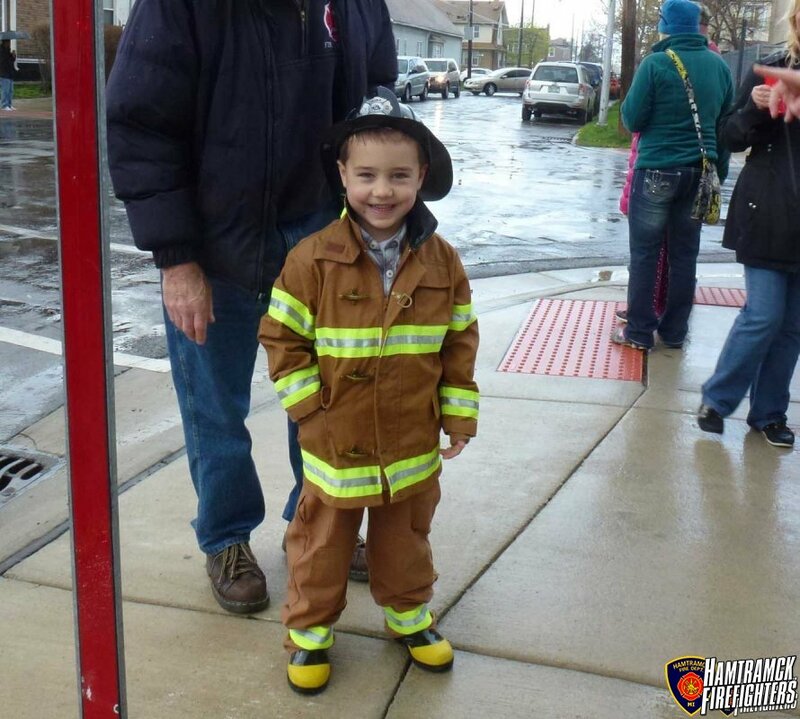 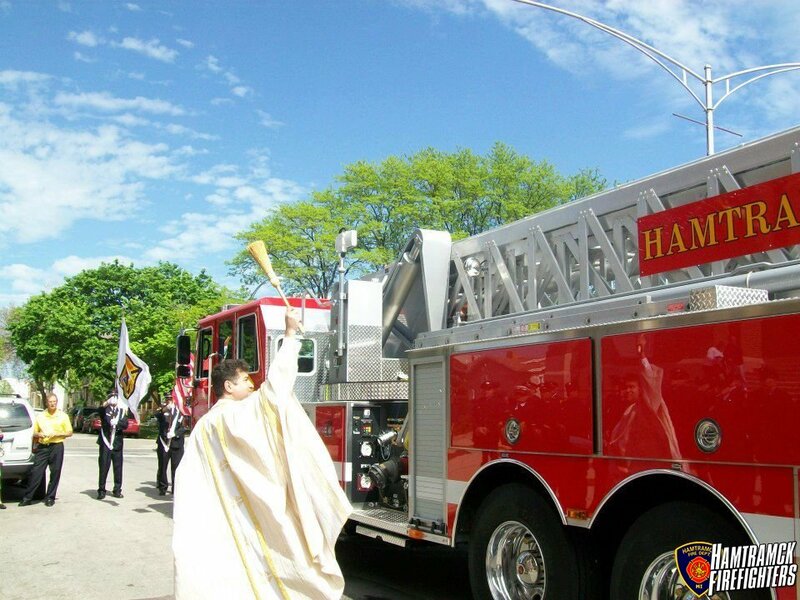 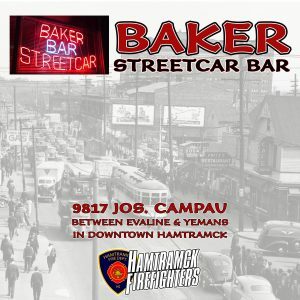 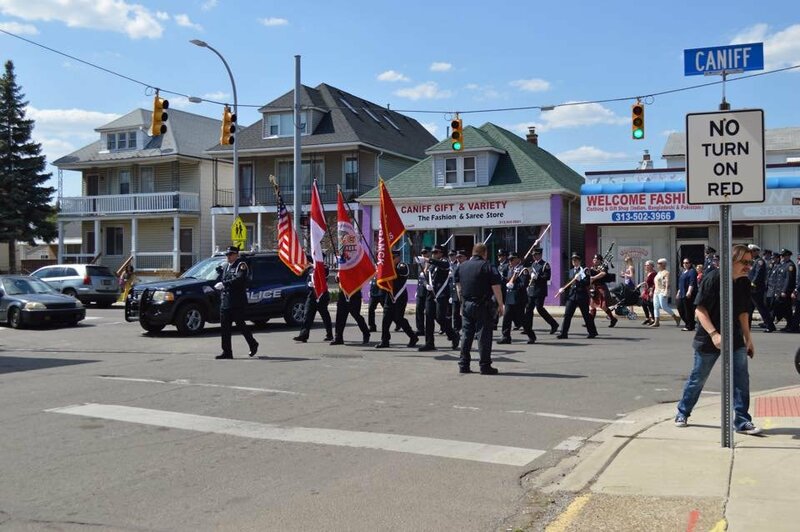 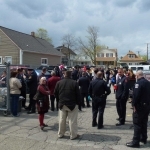 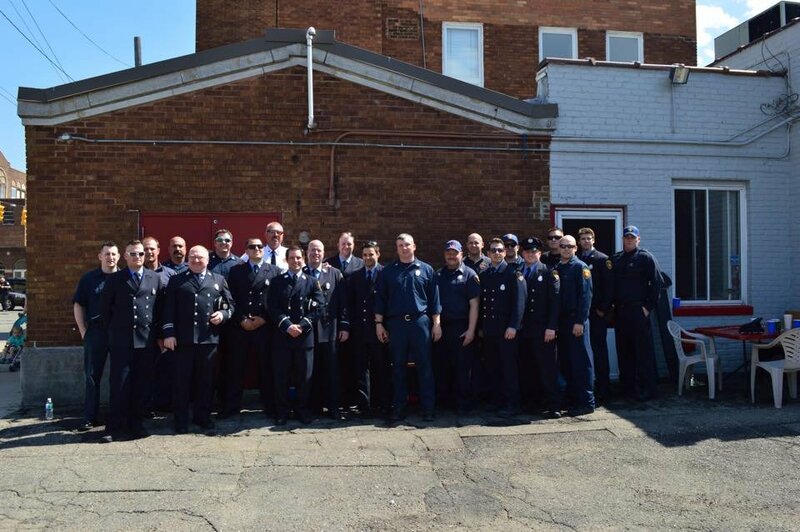 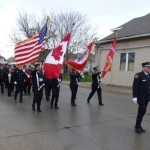 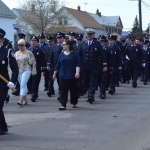 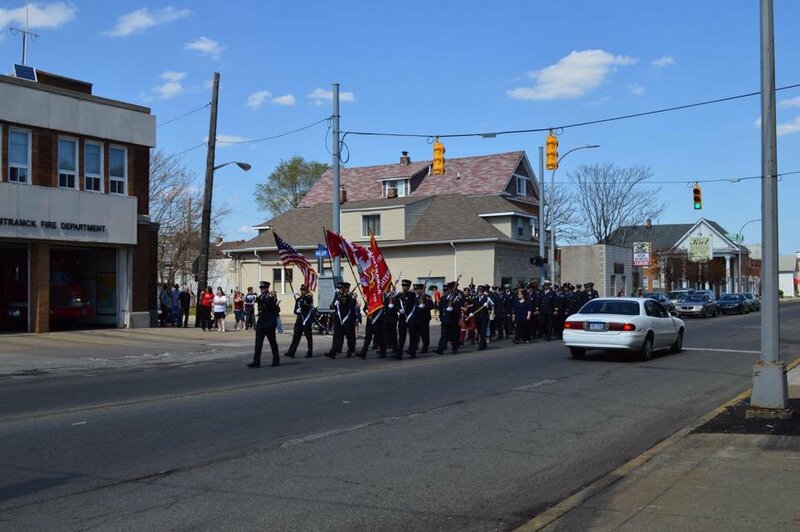 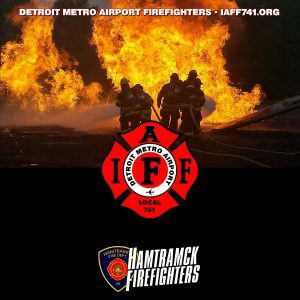 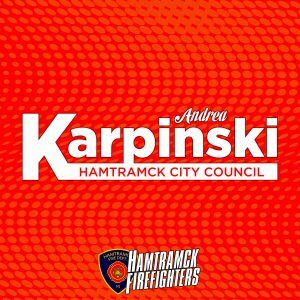 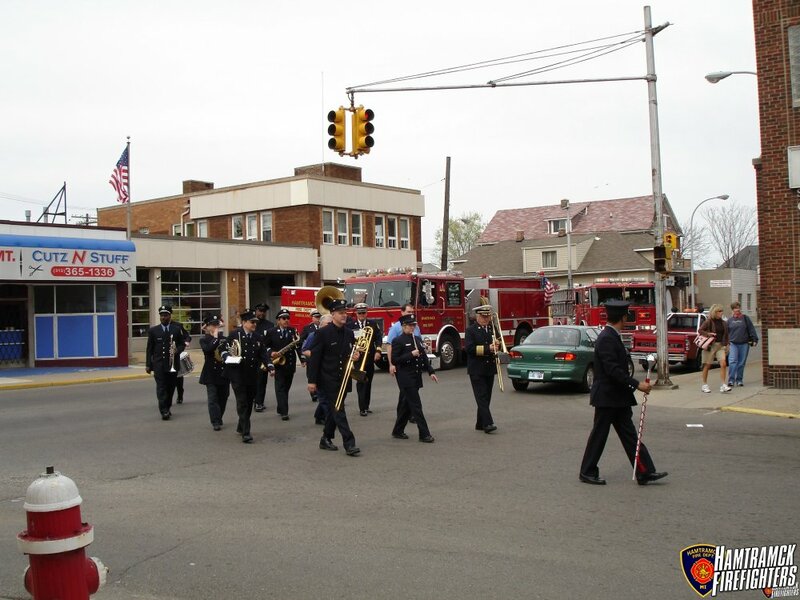 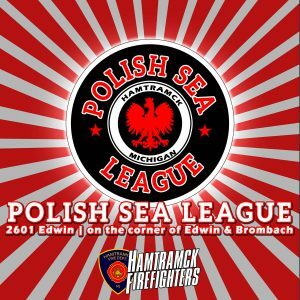 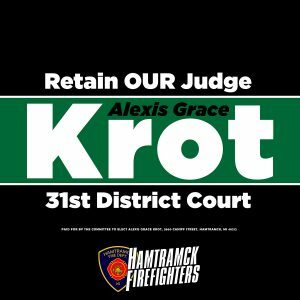 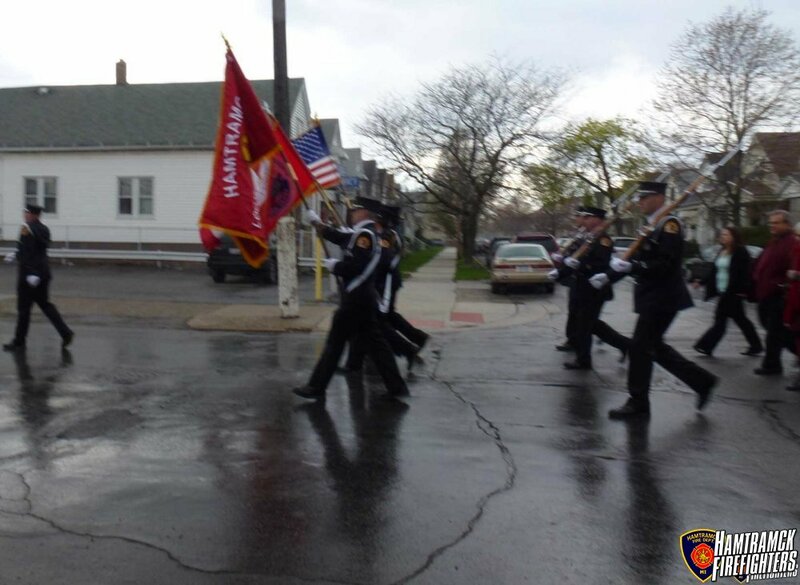 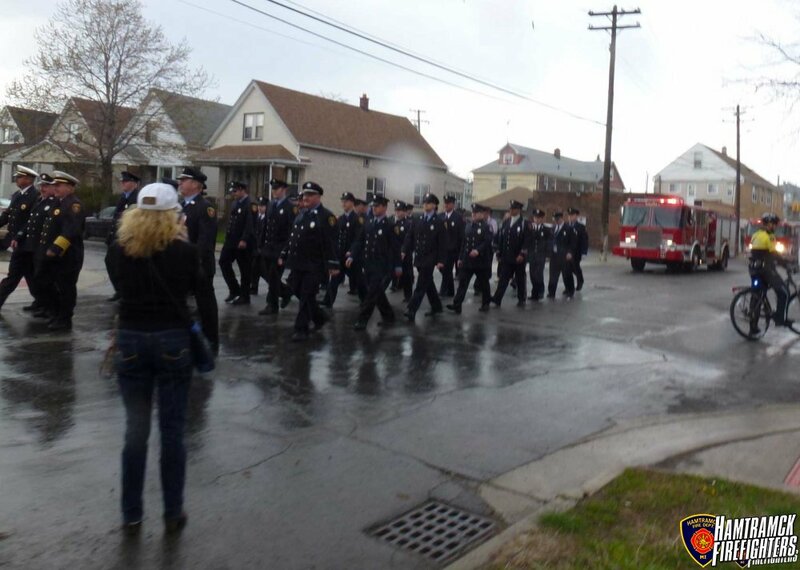 The March leaves the Hamtramck Firehouse at 3:30 pm and proceeds south down Bromback Street and ends at St. Florian Church. 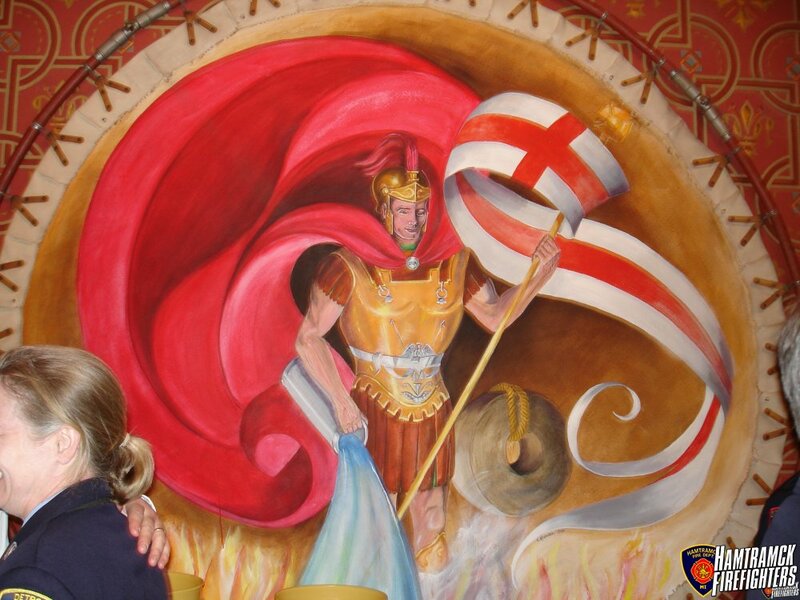 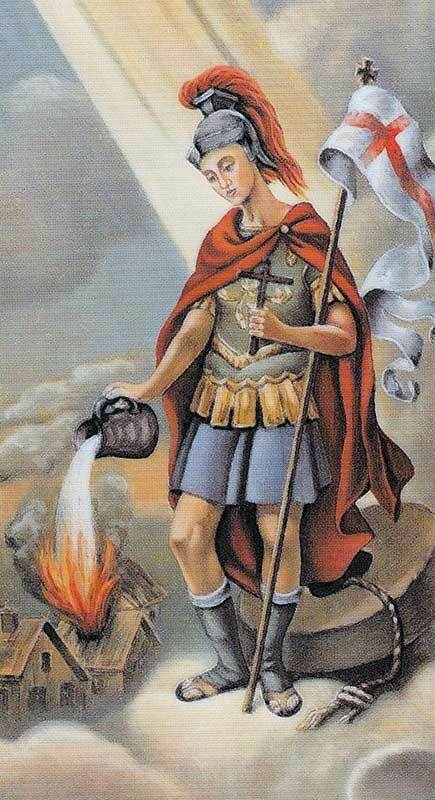 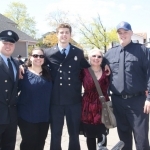 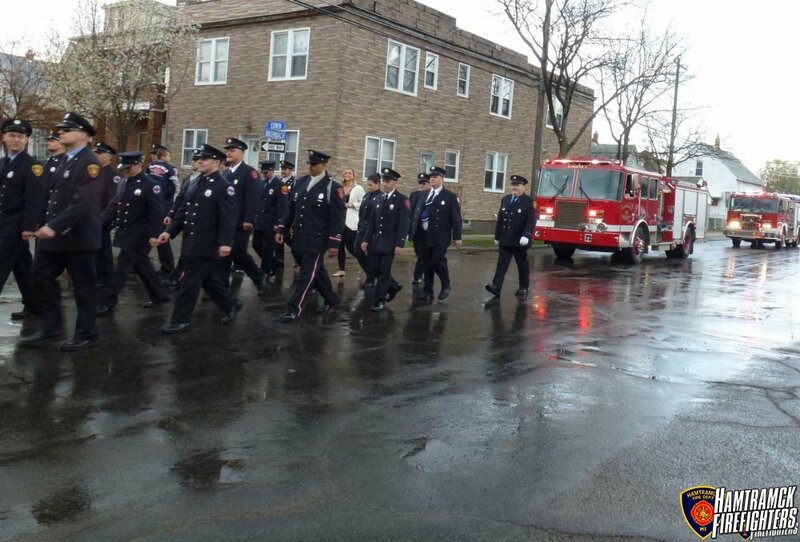 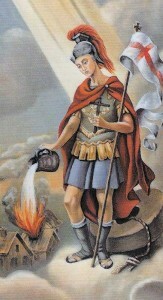 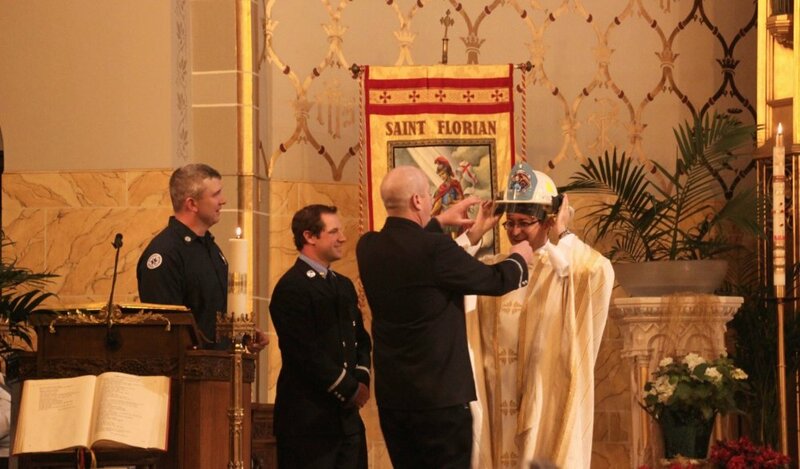 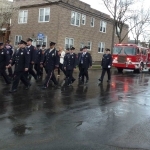 A Mass honoring firefighters and St. Florian is celebrated in the church at 4:00 (you are not obligated to attend or participate in the Mass). 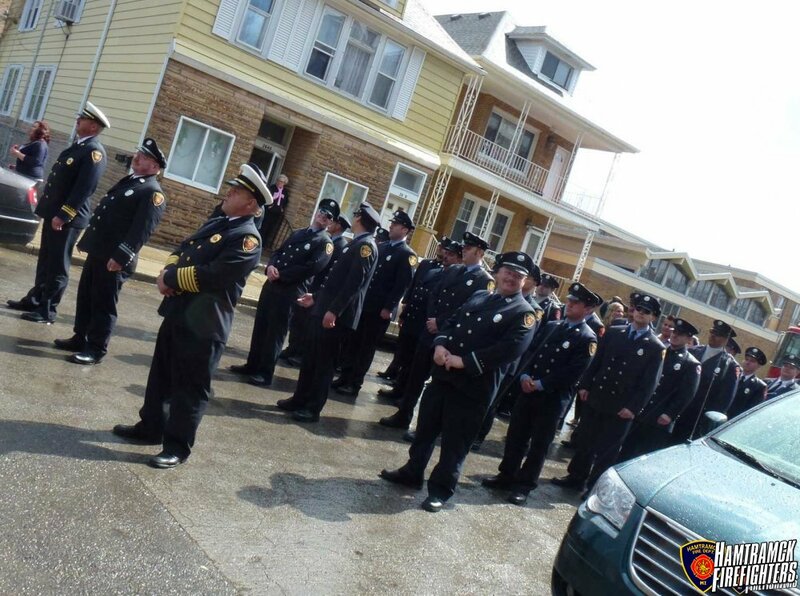 Departments with an Honor Guard are encouraged to join us and all rigs are welcome. 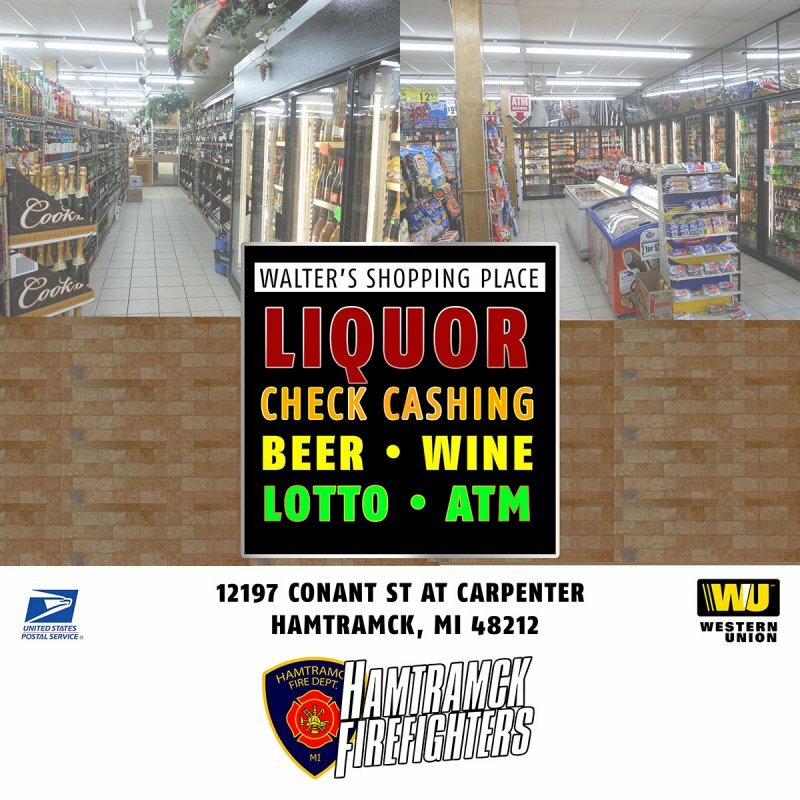 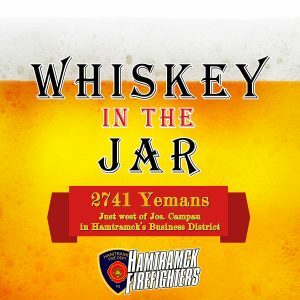 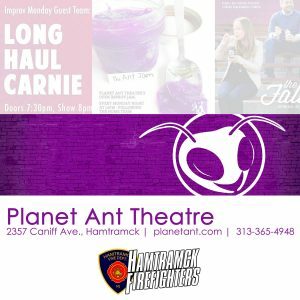 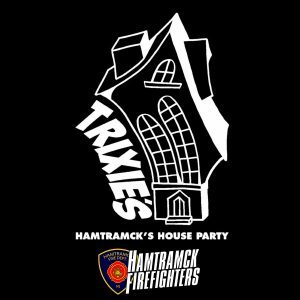 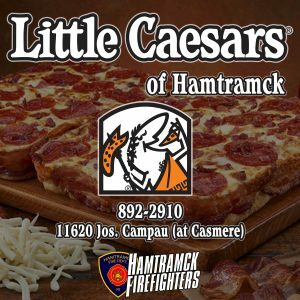 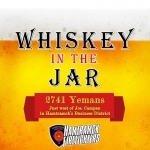 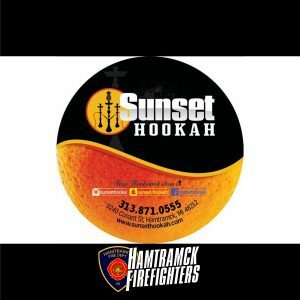 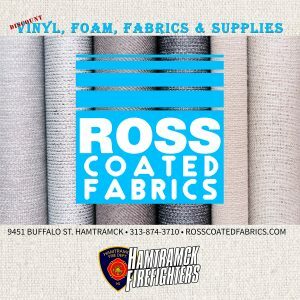 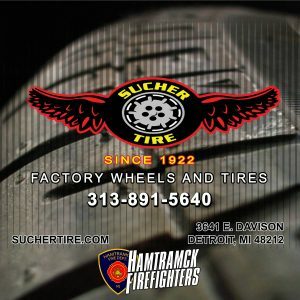 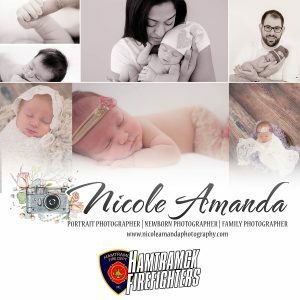 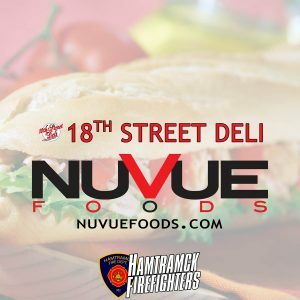 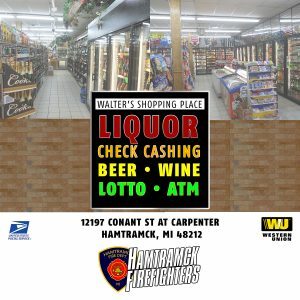 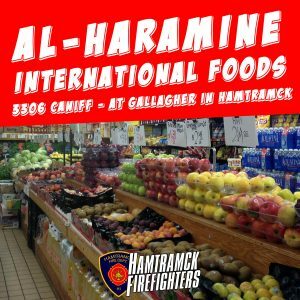 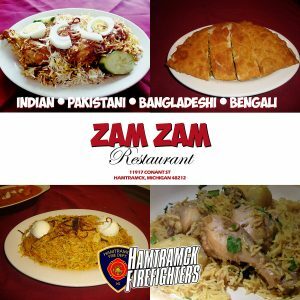 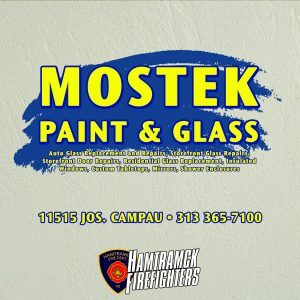 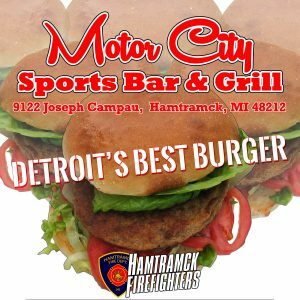 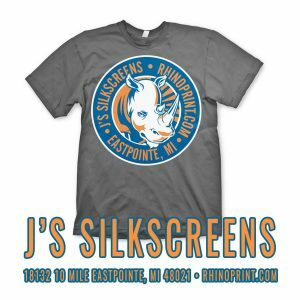 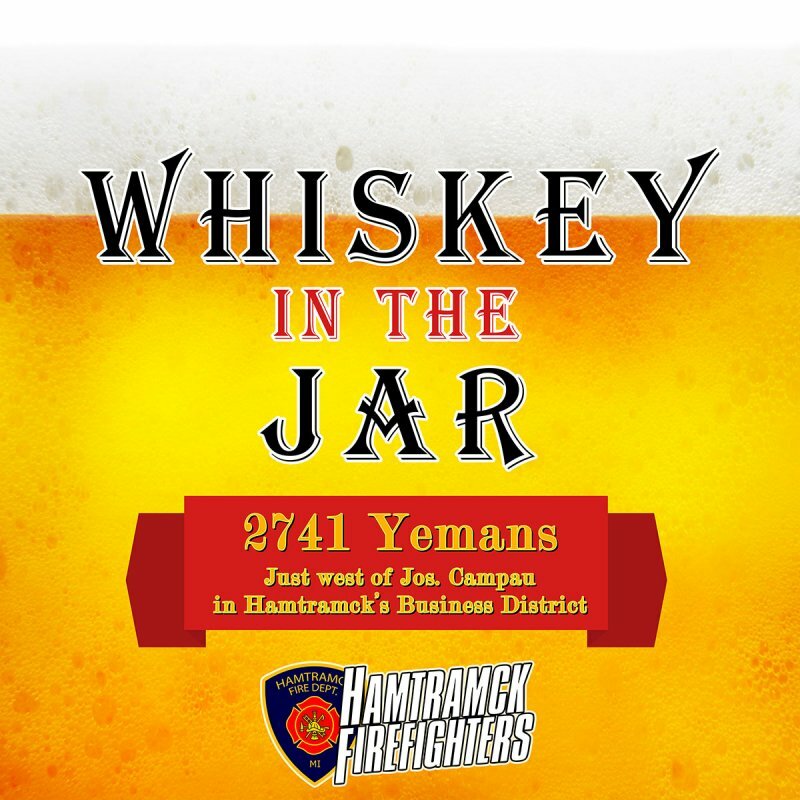 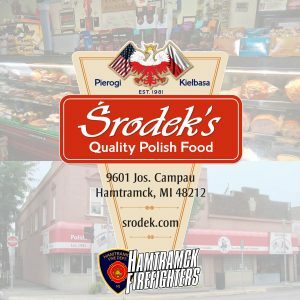 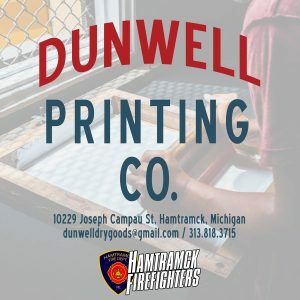 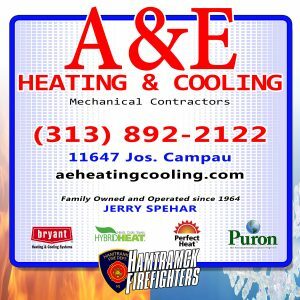 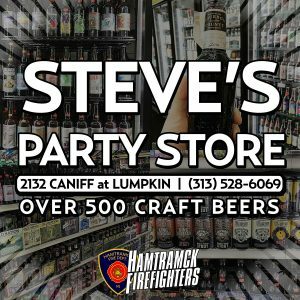 Please contact the Hamtramck firehouse in advance so that we may plan accordingly. 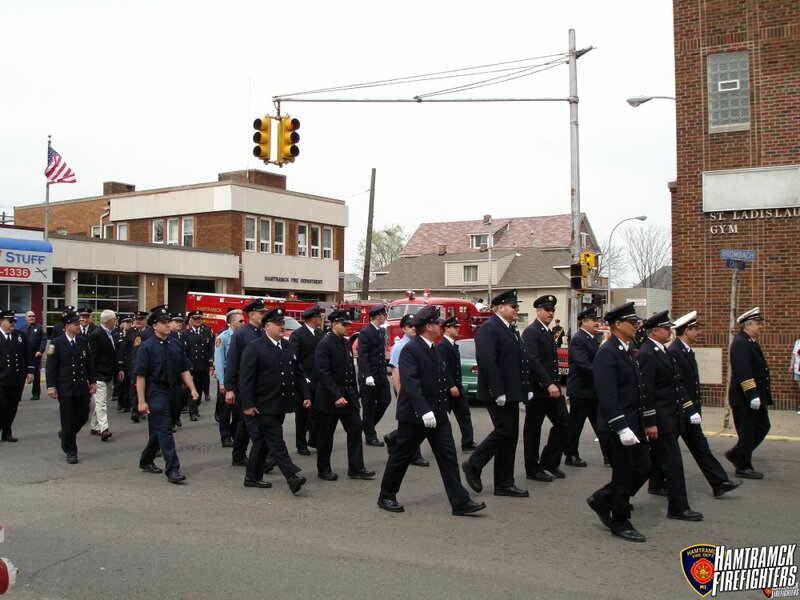 All firefighters, retirees, and their families are welcome to participate in this very special celebration. 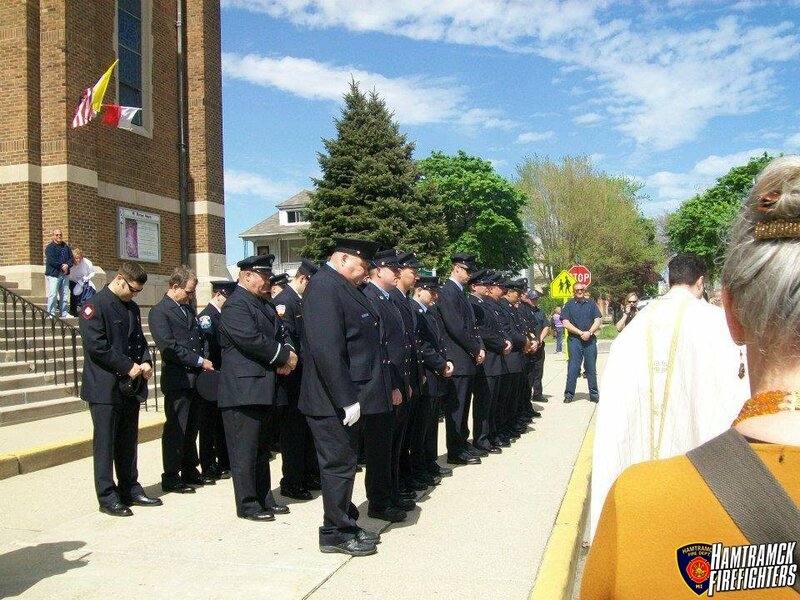 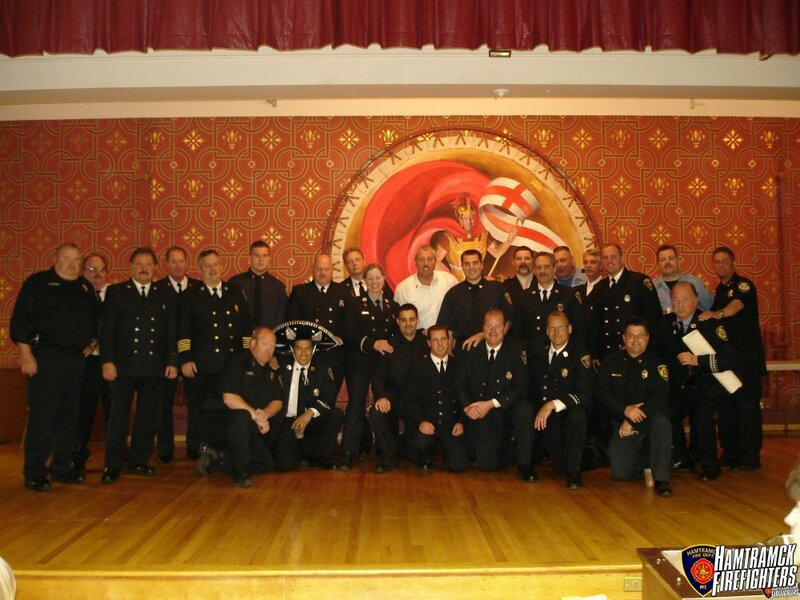 This an excellent opportunity for all firefighters to unite in brotherhood and remember their fallen heroic comrades. 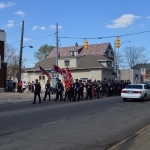 This will also be a great time to enjoy the Strawberry Festival where great food, drink, and music will end the days’ activities. 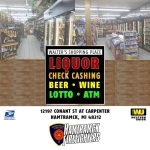 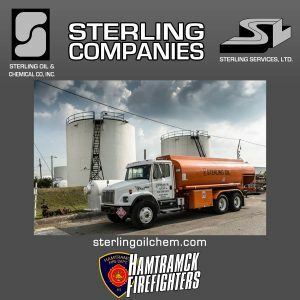 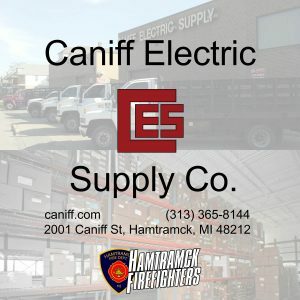 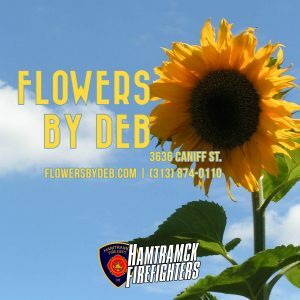 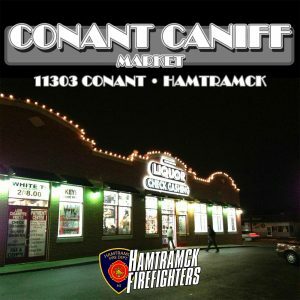 The firehouse is located at 2625 Caniff, approximately 2 blocks east of I-75 from the Caniff exit. 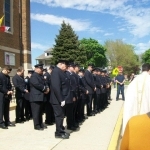 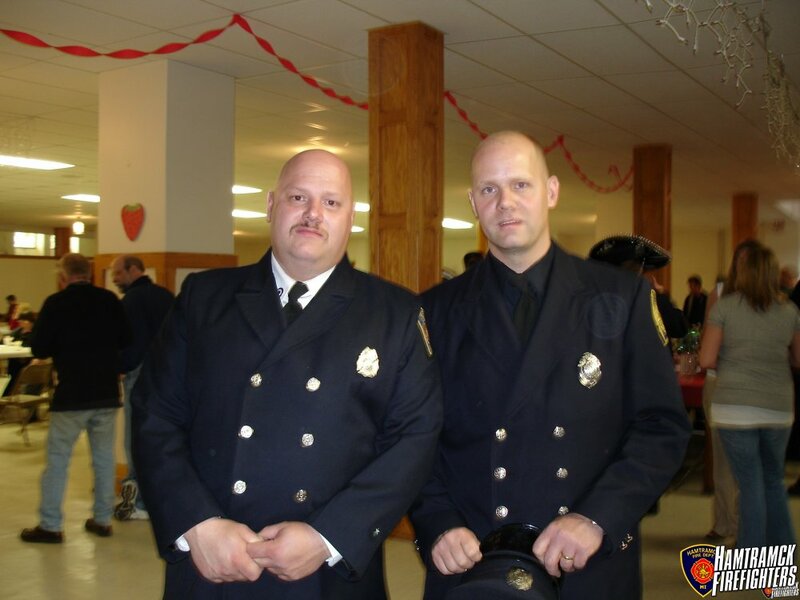 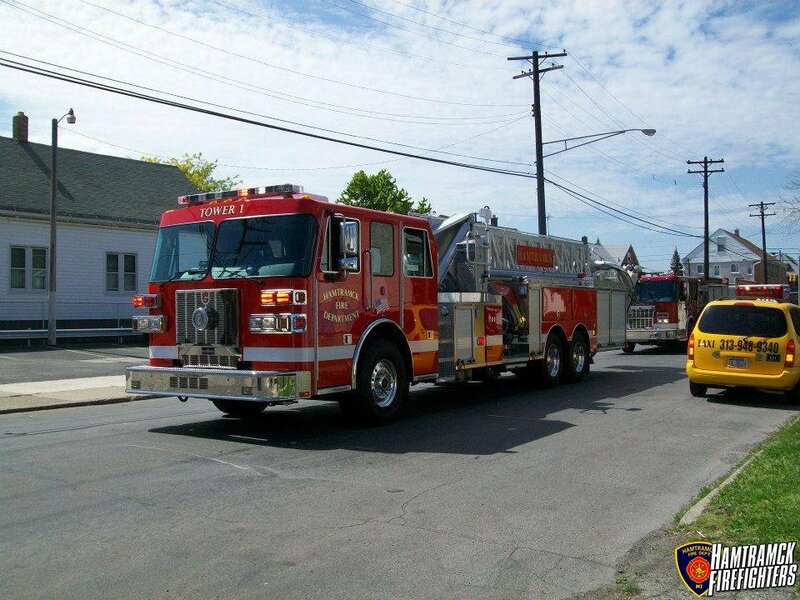 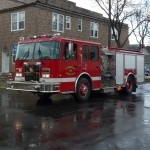 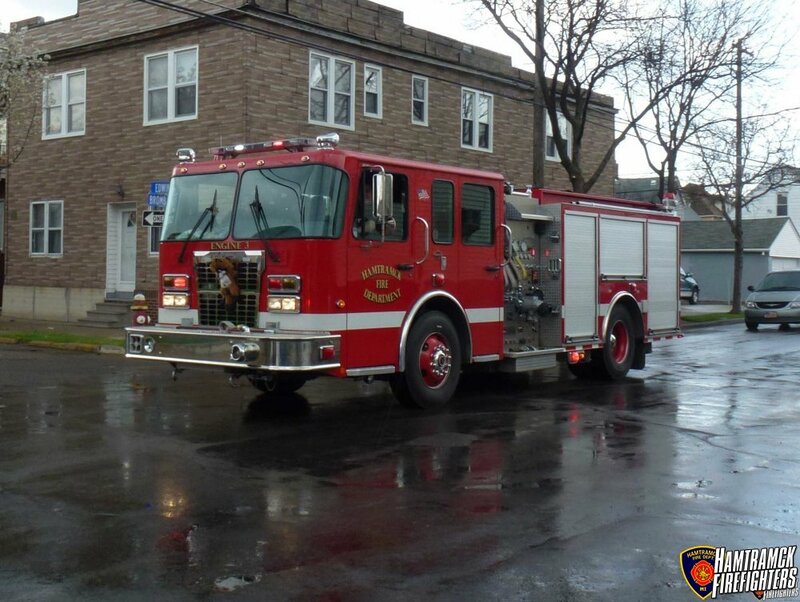 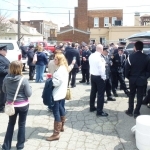 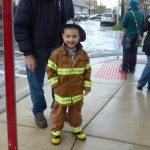 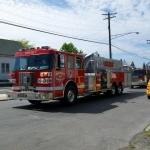 St. Florian Church is located at 2626 Poland, approximately ½ mile south of the firehouse.